Newport Harbor is more than a carefully carved labyrinth of Pacific Ocean water. It’s a lifestyle map; a liquid network that offers a mix-and-match combination of fun, success, and sophistication to those fortunate enough to glide across its surface in a boat. This symbol arguably rings most true when the vessel is used to arrive at a restaurant. If anything, it’s augmented by an unshakeable undercurrent of coolness – we defy you to feel like anything less than a rock star in this scenario. 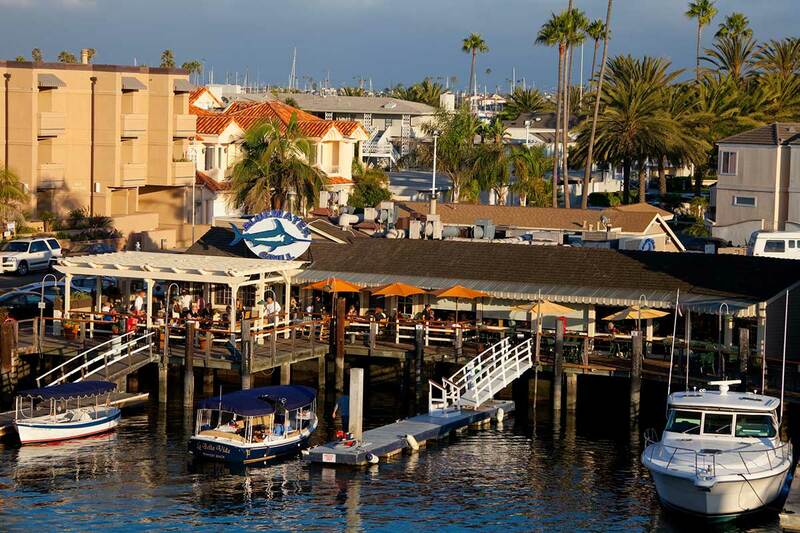 Newport Beach provides you with ample dock & dine opportunities to hammer this feeling of awesomeness home. While each of the following venues possess the real estate that make a splashy appearance possible, they also offer an eclectic array of dining experiences, from ultra-high end to chillaxed. It’s a level of ambient diversity that encourages multiple dock and dine excursions, which you’ll probably want to do anyway. 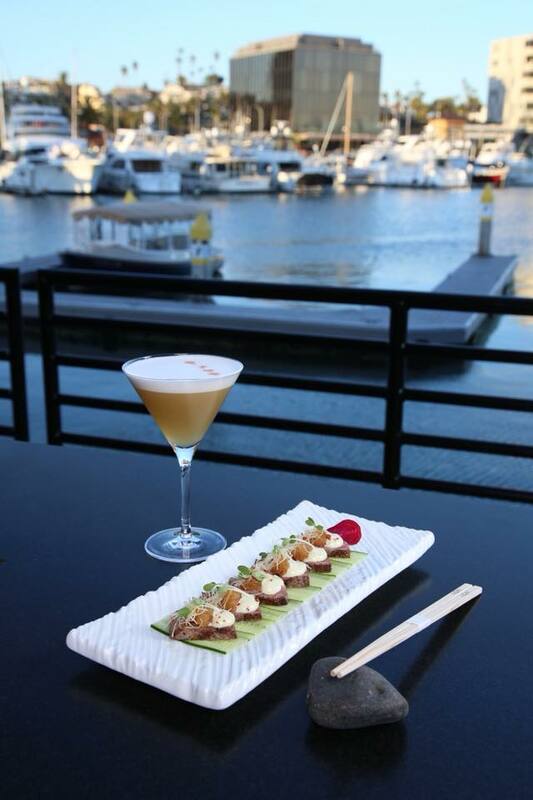 A&O Kitchen + Bar – One of the joys of tooling around Newport Harbor is that doing so can be fun and sophisticated at the same time. 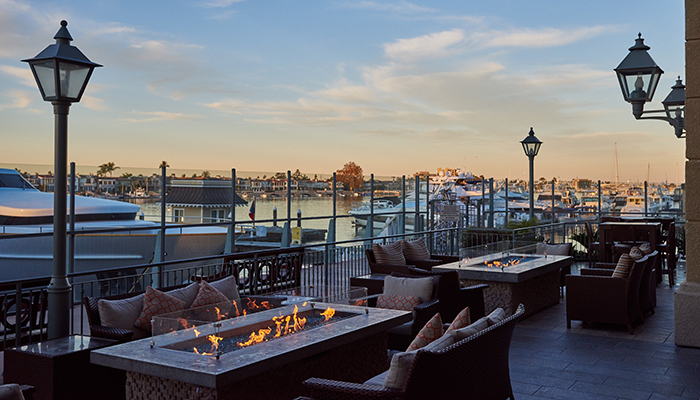 Perhaps no dock and dine opportunity captures this duality better than the Balboa Bay Resort’s gastropub. Its association with the legendary property instantly gives it a sophisticated cachet. At the same time, the array of kicked-up yet approachable menu fare like carnitas fries or fried chicken with Mexican street cornbread demand a decidedly buttoned-down vibe. It’s a dichotomy that works like a charm, and it’s set to match your mood regardless of what your mood may be when you arrive. Billy’s at the Beach – A few hours on the water can provide a means of escape from the perils of everyday life. Yet docking and dining at a restaurant doesn’t mean you have to come back to reality. Exhibit A: This venerable location, whose Hawaiian motif, breezy outdoor patio, and copious list of tropical drinks permanently sets the vibe to island time. The venue’s seafood-centric menu also captures the Aloha spirit rather well, thanks to entrees like pan-seared Macadamia crusted halibut or Hawaiian ridgeback swordfish. Yes, you’ll have to return to reality at some point. However, this won’t happen when you leave – you have a boat to return to, remember? Bluewater Grill – It’s not a stretch to think that a day on the water may kick in cravings for seafood. If this happens to you, this venerable restaurant has you covered and then some. They’ve long operated under the notion that only the freshest seafood is acceptable to serve, a commitment perhaps best exemplified by the seasonal swordfish they harpoon from Pilikia, their very own commercial fishing boat. If you’re lucky, you may see Pilikia pulling up to the docks with a fresh catch the same time you arrive. Even if that doesn’t happen, you’ll still be privy to an abundance of fresh, sustainable seafood fare. Rest assured, your cravings will be satisfied. 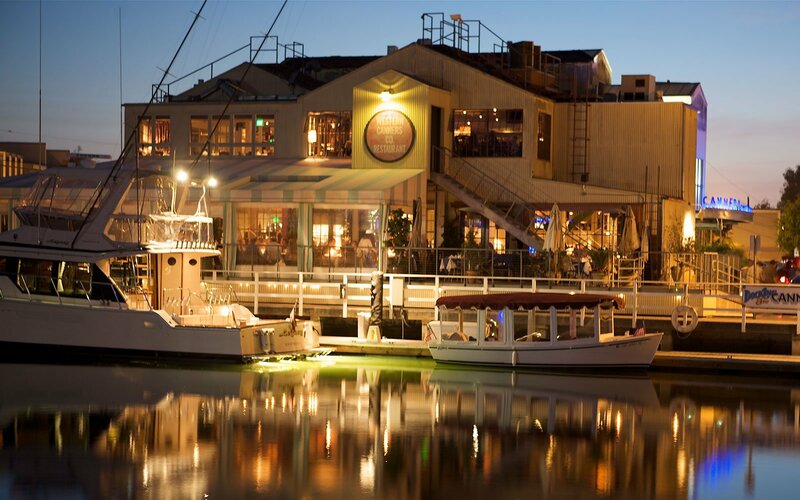 The Cannery – Newport Beach’s maritime culture isn’t just fun – it’s historic. Docking and dining at this waterfront venue literally places you amid the city’s storied past. The restaurant’s building dates to 1921 when it was used as a commercial fish cannery, and hints of its past can be spotted with a keen eye. They also resurrected a bit of local lore by opening The Snug Bar, a unique venue-within-a-venue that doubles as an updated version of the city’s legendary yet defunct Snug Harbor Bar. While the past is revered here, its impressive list of contemporary fare is definitely forward-thinking. It’s also a little on the decadent side: It may be hard to picture the area’s blue-collar canners of yore digging into the restaurant’s pot pie stuffed with shrimp, andouille sausage, market veggies, and a lobster bisque. Then again, you don’t have to picture this. You just need to come by and enjoy. 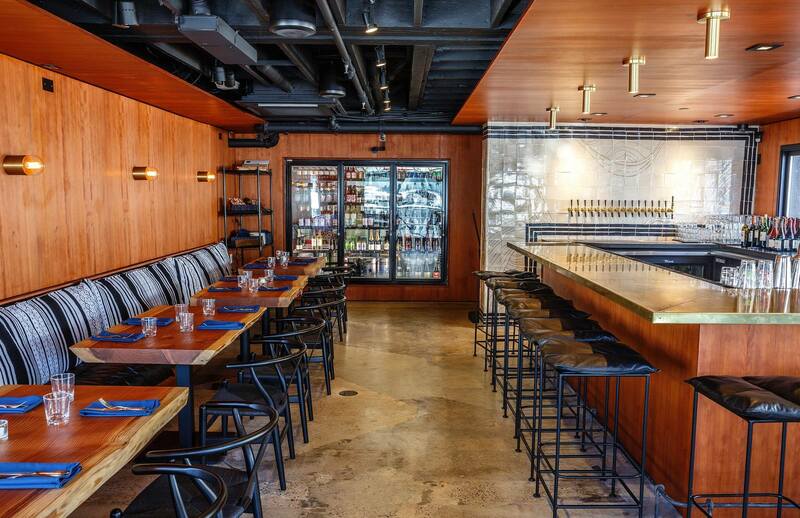 Lido Bottle Works – Sometimes, you just need to have a beer after being on the water. 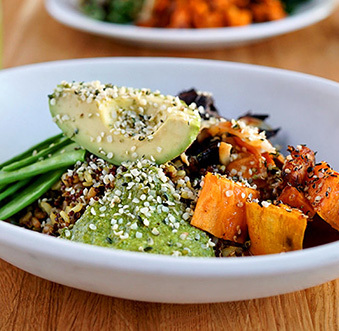 A bevy of exceptional craft brews await you when you dock and dine at this Lido Village restaurant, including plenty of heavyweights from OC’s expansive, acclaimed beer scene. Nabbing a couple of cold brews isn’t the only reason to stop here, though: Executive Chef Amy Lebrun pairs the pints with a contemporary menu anchored by seasonal ingredients and a few adventurous touches. Arguably, nothing exemplifies her knack for progressive whimsy than the Dory Catch menu option; a daily-changing dish inspired by whatever came into the peninsula’s legendary Dory Fleet Fish Market that morning. It’s a concept that’s worthy of raising a glass over. 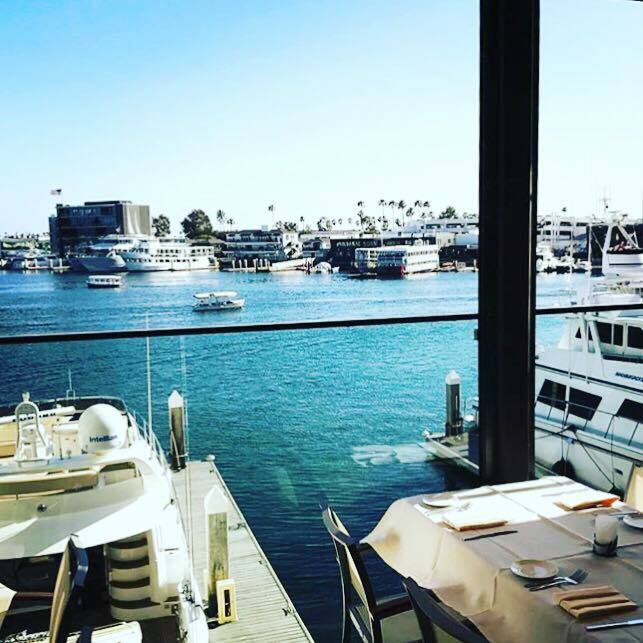 NOBU – If you’re in the right boat, pulling up to a dock to dine can be one of the most luxurious experiences Newport Beach has to offer. So why not keep the elegance going by dropping into this luxurious restaurant? The two-story offers ultra-luxe flash at every turn, from its stunning panoramic harborside views to its gorgeous spiral staircase that dominates the lower floor’s interior aesthetic. Of course, legendary chef Nobu Matsuhisa’s Japanese dishes enhance this level of decadence – classics like the iconic black cod miso and newer dishes like the roasted king crab with uni butter aren’t exactly designed to run counter to the refined architecture. The only way things could get more glamourous is if you showed up from your boat in either a tux or a ball gown. Which you should do at least once, simply because it would look super cool. 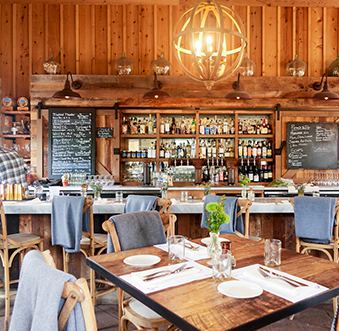 The Winery – Brunch is a swanky meal. Sneaking a brunch in the middle of a day at sea ups its swankiness, particularly if you swing by this sophisticated waterfront eatery. You’re not going to find by-the-numbers brunch items here. 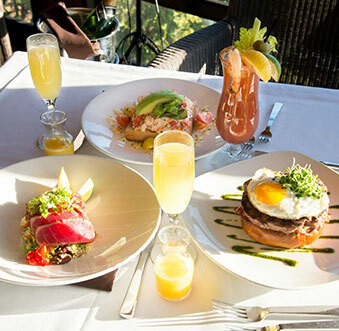 Instead, you’ll encounter refined expressions of culinary indulgence such as shrimp & crispy bacon deviled eggs, seared ahi tuna nicoise salad, and wild white shrimp risotto. 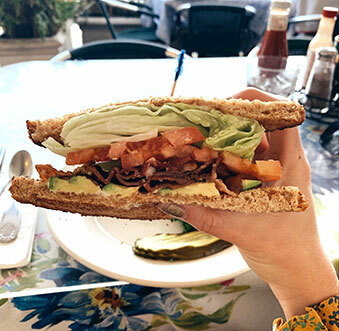 The classics are here too, but they’re recalibrated for luxuriousness – dishes like pork belly eggs benedict or zinfandel braised beef shortib hash and fried eggs are a tick fancier than their traditional version. If you add endless mimosas into the mix, you just may reach maximum swank. 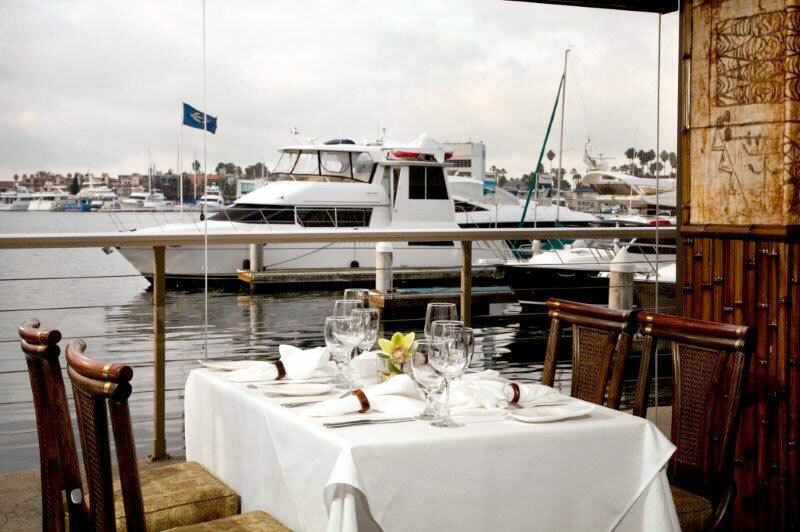 View complete list of dock & dining options in Newport Beach here.